While Cabela’s believes everyone has the right to express their own opinions, we strongly disagree with Jim Zumbo’s February 16 posting on his Hunting with Jim Zumbo blog on Outdoor Life’s Web site. Throughout our 46-year history, Cabela’s has firmly supported all aspects of shooting sports. 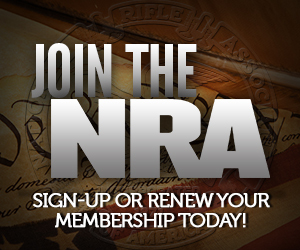 We strongly support the Second Amendment of the Constitution of the United States and the right of every U.S. citizen to purchase, own and enjoy any legal firearm of their choosing. While we fully support Mr. Zumbo’s First Amendment right of free speech, we believe his opinions on this matter are counter to those shared by Cabela’s and many of our customers. Cabela’s Legal Department is currently reviewing contractual obligations and commitments regarding our sponsorship of the Jim Zumbo Outdoors television show. Wow. This on the heels of Remington severing ties is pretty serious. I think we all need to go to Cabela’s and buy some Remington ammunition or maybe a shotgun, or something, pronto.